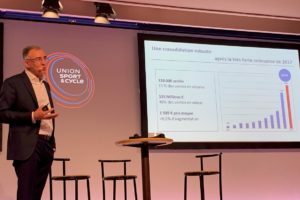 AMSTERDAM, The Netherlands – Is the first sign appearing on the horizon that the bike market is recovering? 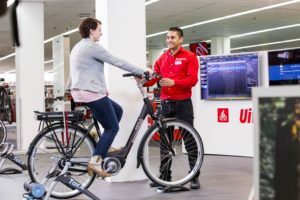 The Dutch retail organization (Bike Totaal) reports to its members that the number of paying customers at affiliated stores is growing again. 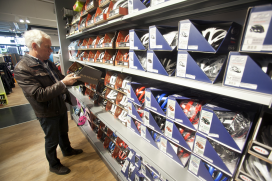 During week 40 ( September 30 to October 6, 2013 ), the number of paying customers that visited the Bike Totaal shops in the Netherlands increased by 4.6 % compared to the same week a year ago. The weather played a minor role in that growth. Week 40 in the Netherlands had a few fairly sunny days, but also ones with lots of clouds and some rain. 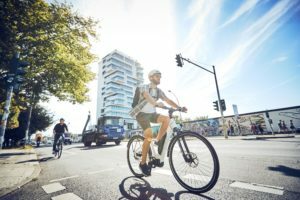 That despite a struggling economy people are still interested in bikes and especially in buying them, is underlined by a very strong performance in the sale of second hand bicycles at the Bike Totaal affiliated stores. That sales grew by 38.1 % in week 40. Also the turnover made with repairs in the stores workshops grew by 13.7 %. 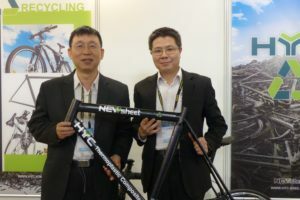 However, turnover for the sale of new bicycles again showed a decline. In week 40 the drop stood at about 12% compared to the same period last year. This drop is not as large as new bicycle sales at the Bike Totaal shops showed in previous weeks. 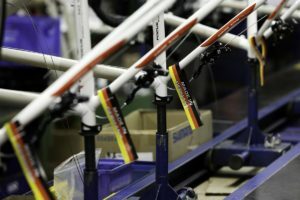 The plus in the number of paying customers, the strong growth in second hands sales and the plus in the workshop/labor turnover compared to the decrease in new bicycle sales as well as in bike wear makes the total for week 40 a limited average revenue loss of 1.3%. Cumulatively , so for the whole of 2013 up to week 40, the average Bike Totaal shop stands now at a loss in turnover of 4.4 % compared to the same period in 2012. More signs of recovery are all around the financial media these days. In Europe’s biggest economy, Germany, the economic growth forecast has been revised slightly upwards for next year. The German government points to rising employment and indicates a strong domestic economy, while business investments are growing also again. The economic growth forecast for 2014 has been revised upwards to 1.7 % from the previously estimated 1.6%. “The economic dynamism of Germany will significantly accelerate next year,” said Deputy Economy Minister Philipp Roesler, who points to increased domestic consumption thanks to higher employment and income.